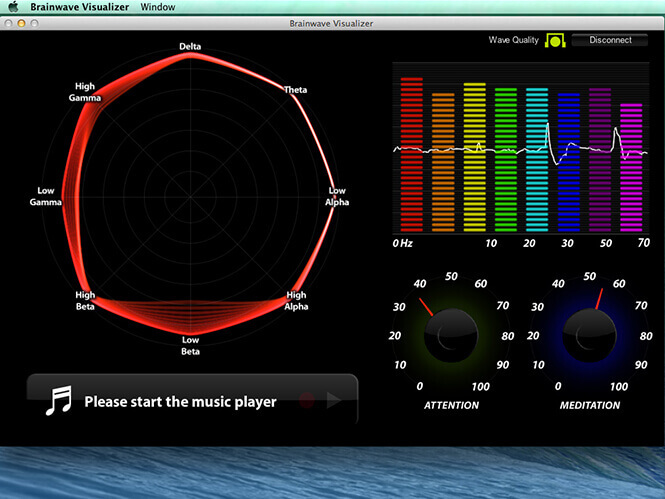 The Game View of the Visualizer lets you play two simple telekinetic games that utilize eSense™ values from the headset. 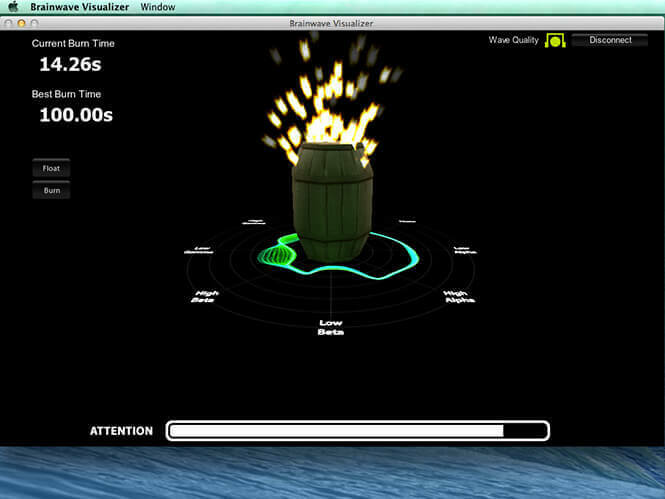 In Burn mode, there is a barrel that will burn based on your eSense™ attention level. The more attentive you are, the quicker it will burn. 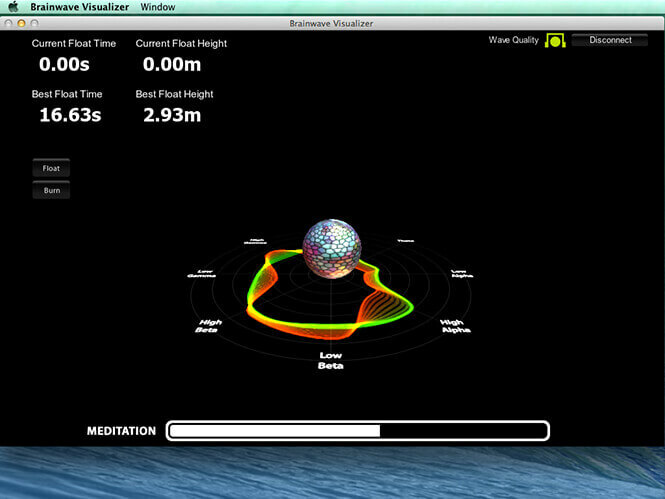 In Float mode, you attempt to float a disco ball based on the eSense™ meditation level. The more meditative you are, the higher and longer the ball will float. The PDF document that comes with the device gives some clues about how to work on Attention and Meditation levels. In general, Attention can be controlled through a visual focus. Focus on a singular idea. Try to “funnel” your concentration and focus your train of thought towards pushing up the meter. Other suggestions include picking a point on the screen to stare at or imagining the action you are trying to accomplish happening. For example, looking at the Attention meter and imagining the dial moving towards higher numbers. For Meditation, it typically helps to try to relax. Connect to a sense of peace and calm by clearing your mind of thoughts and distractions. 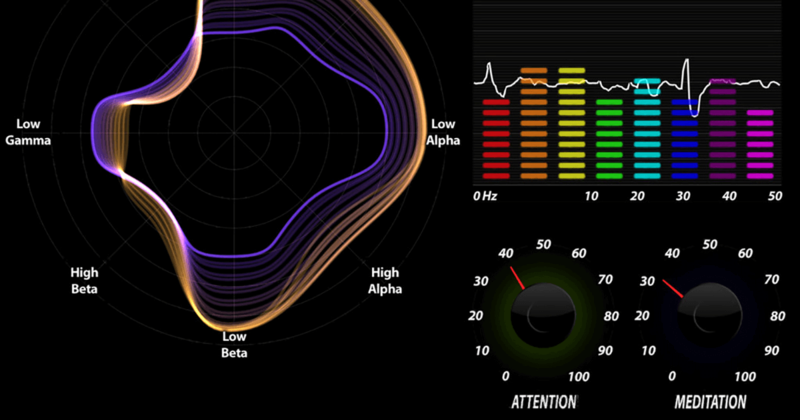 If having difficulty engaging Meditation, close your eyes, wait a number of seconds, and then open your eyes to see how the meter has responded.